UNG is gearing up to welcome home alumni from all campuses with events that include reunions, get-togethers, demonstrations and awards banquets. The University of North Georgia (UNG) Alumni Association welcomes alumni back to the Dahlonega Campus from April 25-28 for the 2019 Alumni Weekend. 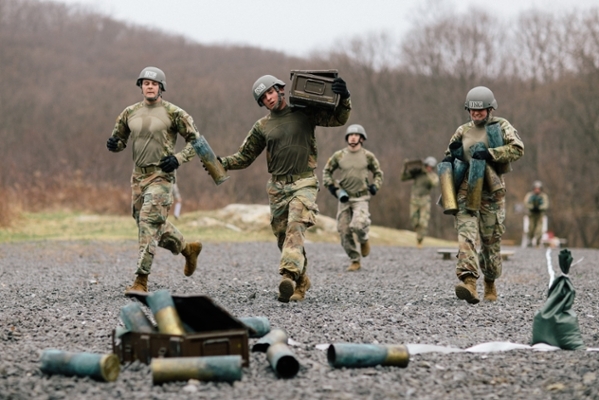 Highlights of this year's events include father and son retired generals, both alumni, as featured speakers and a family-friendly event at the university's Pine Valley facility. "We want our alumni to see how the traditions have remained the same even though the university has grown," said Megan Jacques, an alumni relations officer at UNG. 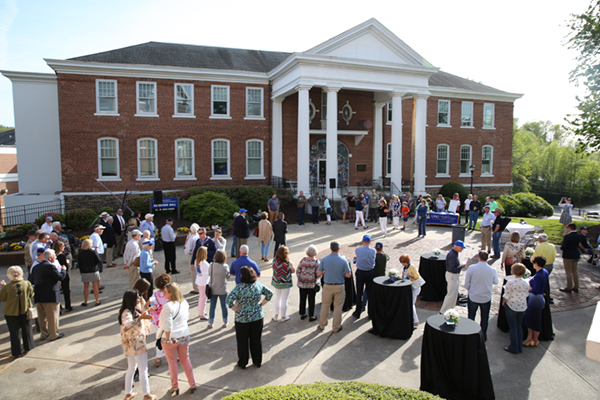 Wendi Huguley, director of alumni relations and annual giving and executive director of the alumni association, said Alumni Weekend has been a long-standing tradition on the Dahlonega Campus. "The goal is to bring alumni back to a weekend of events specifically designed to celebrate alumni," Huguley said. This year, the celebration's main event is "Revel on the River," a live music event from 3-9 p.m. Saturday, April 27, at UNG's Pine Valley recreation facility. Band X, a cover band from Atlanta, Georgia, is the featured attraction. There is limited parking available at Pine Valley and shuttles will be provided at the UNG Convocation Center starting at 3 p.m. Saturday, to and from Pine Valley. Students, faculty and staff are welcome to join in on the fun. No fee required. Jacques said she is excited about the event. "Instead of trying to do everything, we're trying to bring all of our alumni together with a big, multigenerational event where everyone can enjoy themselves," she said. The free, family-friendly event includes food trucks, bounce houses for children, and Pine Valley's Dean Mike Hyams rope courses. Registration is requested. The guest speaker for Memorial Retreat this year is retired Brig. Gen. Michael L. Scholes, '88. This year's military events feature a pair of alumni as guest speakers who both are retired Army generals—the first time that a father-son duo has spoken at Alumni Weekend. Retired Brig. Gen. Michael L. Scholes, '88, is the guest speaker for Memorial Retreat, set for 4 p.m. Saturday, April 27. His father, retired Maj. Gen. Edison E. "Ed" Scholes, '61, is the guest speaker for Sunday's 2 p.m. Military Awards Review. 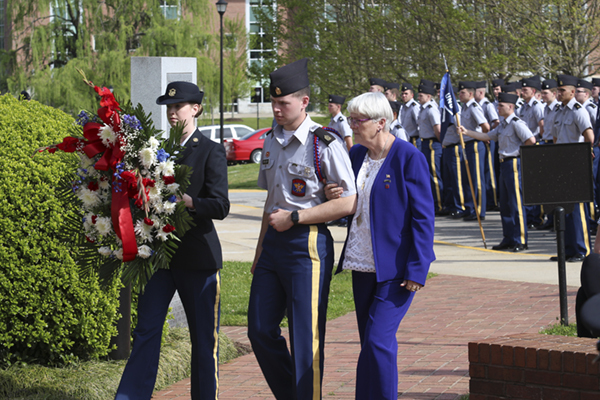 Ed Scholes, who commissioned infantry from UNG, has been inducted into the Georgia Military Veteran's Hall of Fame for valor, the U.S. Army Ranger Hall of Fame and the UNG Hall of Fame. His Army career took him from Vietnam, to Deputy Commanding General of XVIII Airborne Corps, and a major NATO command. He served in Airborne, Special Forces, and Ranger units, including four combat tours in three conflicts, in one of which he earned a Silver Star Medal. Mike Scholes commissioned armor from UNG and commanded at company, battalion and brigade level. 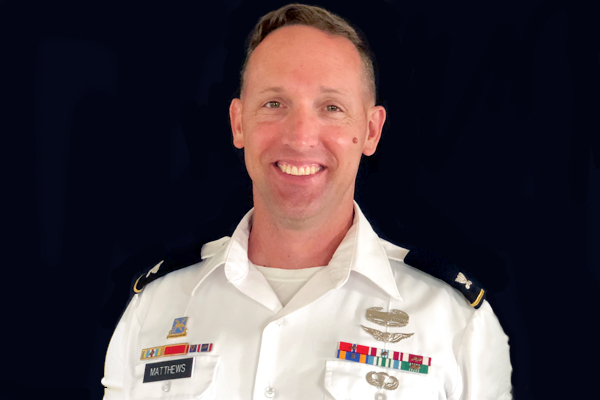 He served in numerous joint operational assignments, including Special Assistant to the Director of the Army National Guard, Arlington, Virginia, after serving in the Balkans. He previously served as the Chief of Staff, Kosovo Forces, for the North Atlantic Treaty Organization. The three-day Alumni Weekend starts with the traditional Nighthawks Athletic Club Golf Tournament at 7:30 a.m. Friday, April 26, at the Achasta Golf Course. That evening, the class of 1959 celebrates its 60-year reunion at 5:30 p.m. in the Dining Hall banquet room. On Saturday, April 27, the annual Alumni Association Awards Banquet to honor distinguished alumni and students is set for 11:30 a.m. in the Dining Hall Banquet Room. Registration is required for all three events. 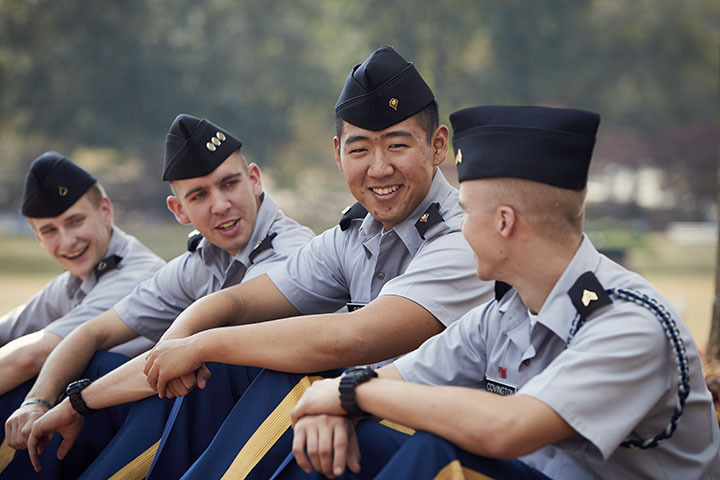 Military events in addition to Memorial Retreat and the Military Awards Review include Saturday's Corps of Cadets 5K Fun Run on the drill field at 8 a.m., Sunday's Georgia Gold American Treasure Luncheon at 11:30 a.m. Registration is required for the luncheon. In addition to the on-campus activities, those who cannot attend in person can view photos and live streaming through UNG Recall. This will be the fourth year this "virtual reunion" will be available to alumni who wish to celebrate and connect with fellow alumni from afar. For the full calendar and registration information, visit the Alumni association's Alumni Weekend Event page. For extra entertainment, the annual Bear on the Square Festival is the same weekend in downtown Dahlonega, and lodging fills up quickly. For a full list of local accommodations, click here.